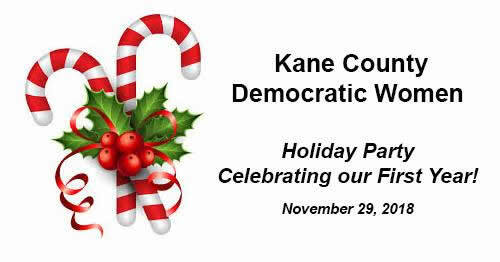 The Kane County Democrats invite you to the Kane County Truman Dinner. Our keynote speaker this year will be Thom Hartmann, the number one progressive radio talk show host in the US and a New York Times best-selling author. The Truman Dinner is the Kane County Democrats’ largest fundraiser and a wonderful opportunity to meet your elected officials, as well as candidates running in upcoming elections. We are very excited to present our keynote speaker this year, Thom Hartmann. Mr. Hartmann is the #1 Progressive talk show radio host in the U.S. as well as a New York Times Bestselling author. We look forward to seeing you on Sunday, February 24th! This year, tickets can be purchased through ActBlue at https://secure.actblue.com/donate/truman2019 or by making checks payable to Kane County Democrats. The dinner is Sunday, February 24th at Piper Banquets 1295 Butterfield Rd, Aurora. Cocktails at 4:00, dinner at 5:00 PM. 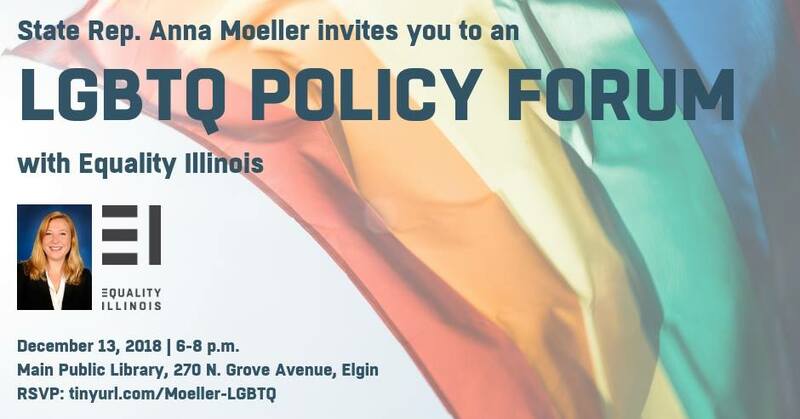 State Rep. Anna Moeller hosts an LGBTQ Policy Forum with Equality Illinois, the state’s civil rights organization for lesbian, gay, bisexual, transgender, and queer Illinoisans. 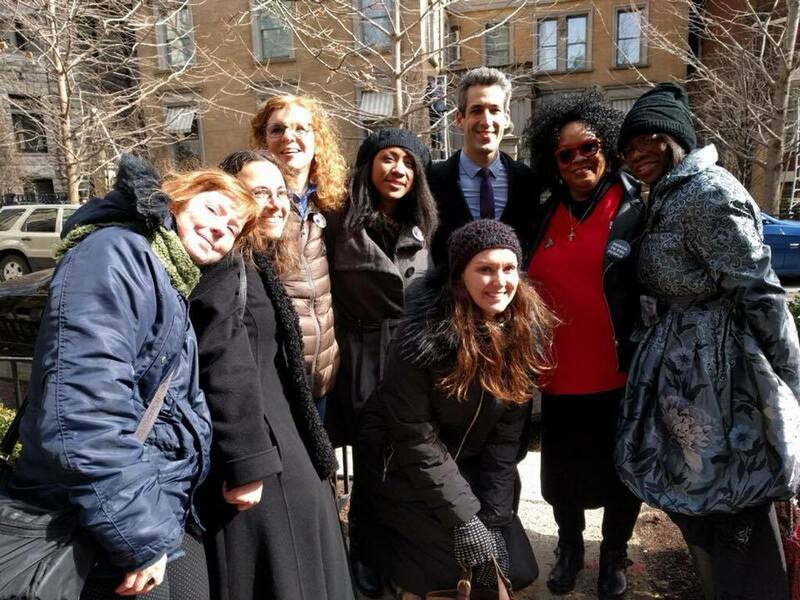 LGBTQ people are part of the fabric of the State of Illinois, where our pro-equality laws reflect our state’s values of inclusion, fairness, and the freedom to be who you are and love who you love without burden or discrimination. Yet, there is still significant work to be done. At this forum with Rep. Moeller and the team from Equality Illinois, learn about (1) the legal landscape in Illinois, (2) policy actions by the Trump Administration that impact the lives of LGBTQ people and families, and (3) how you can take action for LGBTQ-affirming change. Rep. Moeller is the chief House sponsor of the Inclusive Curriculum Bill (SB 3249) during the 100th General Assembly (2017-18). The bill will ensure the contributions of LGBTQ people are included in the U.S. history curriculum taught in Illinois public schools. 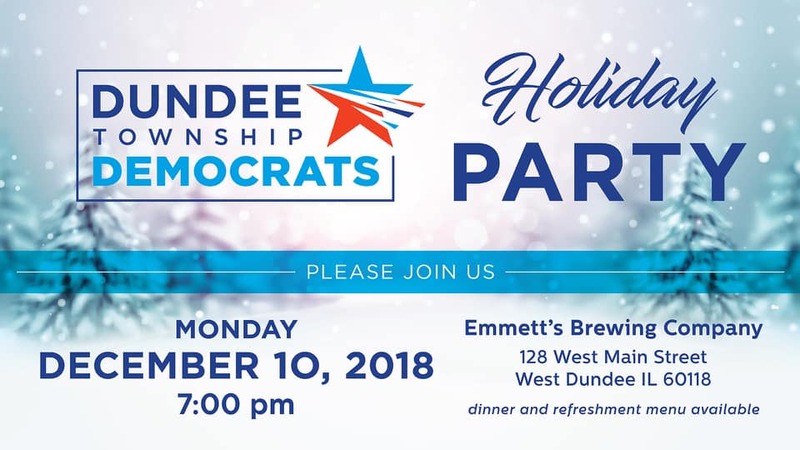 Join the Dundee Township Democrats for a holiday gathering to celebrate the year’s successes! Dinner menu will be available. Celebrating our 1st Year! Come join us for a post election celebration honoring the hard work of our members and sharing the joy of the upcoming holiday season with new and old friends. The Party will include appetizers, buffet, and home-made desserts. Reservations & Tickets are available for $25.00 on Act Blue.